"Sampath Speaking" - the thoughts of an Insurer from Thiruvallikkeni: Series of large earthquakes hit New Zealand; tsunami alert issued !! 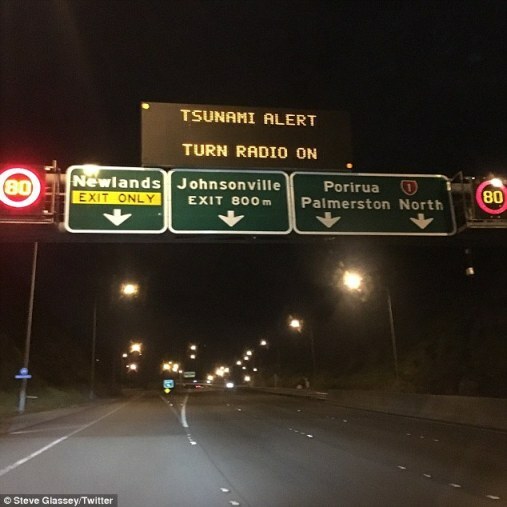 Series of large earthquakes hit New Zealand; tsunami alert issued !! Māori were the first to arrive in New Zealand, journeying in canoes from Hawaiki about 1,000 years ago. In 1840, the Treaty of Waitangi was signed, an agreement between the British Crown and Maori. It established British law in New Zealand and is considered New Zealand’s founding document and an important part of the country's history. The building where the treaty was signed has been preserved and, today, the Waitangi Treaty Grounds are a popular attraction. It is the island nation - New Zealand comprising of two main landmasses—that of the North Island, or Te Ika-a-Māui, and the South Island, or Te Waipounamu—and numerous smaller islands. They are in news ! for wrong reasons. A series of large earthquakes across New Zealand, which started just after midnight, have prompted coastal residents to flee their homes after tsunami alerts. 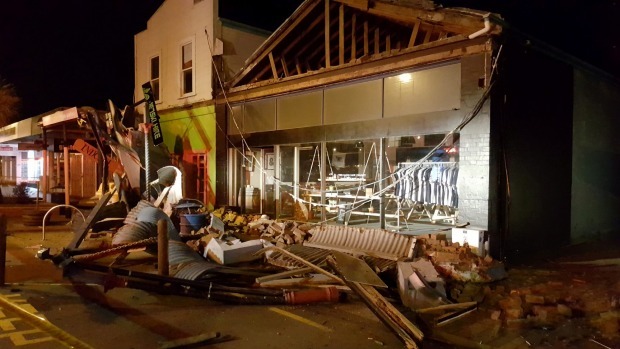 The US Geological Survey said the magnitude-7.8 quake hit just after midnight (11:02 GMT on Sunday), some 95km (59 miles) from Christchurch. Civil Defence is scrambling to assess damage from the first, 7.5 magnitude earthquake centred near Hanmer Springs, which shook much of the country and was followed by a series of strong aftershocks. The small North Canterbury township of Waiau is feared to be worst hit following the 7.5 magnitude earthquake in the early hours of this morning. The tsunami arrived in the north-eastern coast about two hours later. Officials said the first waves may not be the largest, with tsunami activity possible for several hours. Residents were warned to head inland or for higher ground along the coast. A gauge at Kaikoura, 181 km (112 miles) north of Christchurch, measured a wave of 2.5m (8ft 2ins), according to Weatherwatch.co.nz. Smaller waves are said to be arriving in Wellington and other areas, the website said. The Ministry of Civil Defence & Emergency Management (MCDEM) has issued a tsunami warning (marine and land threat) from East Cape to Southland, including Wellington (which also includes the Cook Straight area), Marlborough Sounds/Tasman Bay and the Chatham Islands, and a marine threat for all other New Zealand coastal areas. This means a threat to beach, harbour, estuary and small boat activities. The severity of currents and changing water flows will vary within a particular coastal area and over the period this warning is in effect. People in the all coastal areas have beenb advised to : 1. Stay out of the water (sea, rivers and estuaries, including boating activities) 2. Stay off beaches. The word is now a commoner …. Around a decade or two ago – not many here knew its pronunciation nor its meaning … all that changed on that Black Sunday !! – perhaps it occurred earlier too but not known by that name – perhaps a similar thing only undid Dhanushkodi – and earlier in 1930s …. ‘tsunami’ (from Japanese – a harbour wave) - a series of water waves caused by the displacement of a large volume of a body of water, generally an ocean or a large lake. Earthquakes, volcanic eruptions and other underwater explosions, landslides, glacier calvings, meteorite impacts and other disturbances above or below water all have the potential to generate a tsunami. Tsunami waves do not resemble normal sea waves, because their wavelength is far longer. The 2004 Indian Ocean earthquake was an undersea megathrust earthquake that occurred at 00:58:53 UTC on Sunday, 26th December 2004, with an epicentre off the west coast of Sumatra, Indonesia. It was one of the deadliest natural disasters in recorded history. Indonesia was the hardest-hit country, followed by Sri Lanka, India, and Thailand. Down under, power is out and phone lines are down but the potted information coming into Cheviot police and fire is that it has received widespread damage. The Waiau river bridge has been badly damaged, with reports it has sunk as much as 400mm. 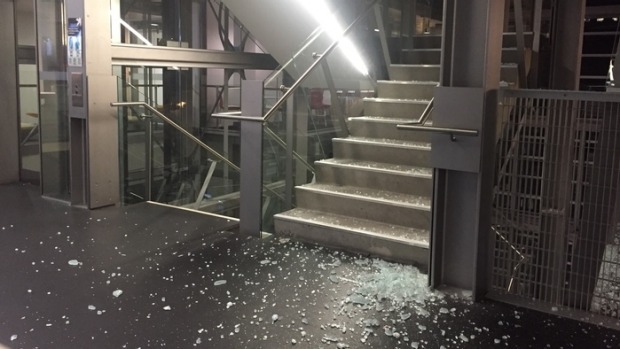 Reports suggest of cracked buildings, smashed windows and power cut in Wellington. The city suffered minor to moderate damage following the 7.5 magnitude quake and ongoing aftershocks thoughout the night. NZ Herald reports that downtown is unusually busy, people are gathered outside backpackers and hotels - some with packed bags and blankets. Many others have evacuated and headed to higher ground following a small tsunami and ongoing warnings more waves could come. Logs could be seen strewn around the port area in Wellington and there are reports of some damage to terminals. Shipping workers were forced to flee the Kings Wharf freight shipping terminal in Wellington, after cracks began appearing and water spurting from beneath them. • KiwiRail has suspended all services. The North Island Main Trunk line (NIMT) south of Palmerston North and in the South Island have been cancelled until further notice. Sirens have been heard along the coast, warning people to evacuate, and the Civil Defence has reported some power outages. Evacuees have posted images on social media of long traffic jams leading to Mount Victoria in Wellington and ferries hurriedly moving away from the shore line. So lot of chaos and panic around the island Nation. All members of the Pakistan cricket team are safe in Nelson after an earthquake of high intensity hit New Zealand, their manager Wasim Bari has confirmed. Pakistan were in Nelson to play a three-day tour game before the first Test, scheduled to begin in Christchurch on November 17. The Pakistan women's team, who are also touring New Zealand, was even closer, staying on the 13th floor of a hotel in Christchurch. Basit Ali, their manager, told Geo News that they were all safe but "still scared". 13th Nov. 2016 @ 21.00 hrs.